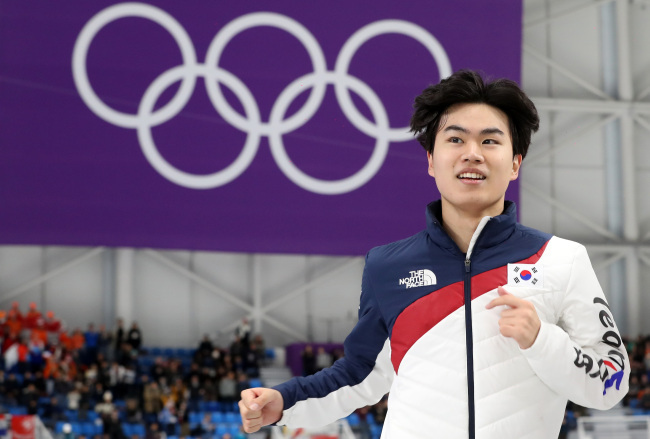 South Korea's Kim Min-seok captures bronze in men's 1,500m speed skating won bronze in the men's 1,500 meter speed skating at the PyeongChang Winter Olympics, becoming the first Asian to win a medal in the event. He was only 0.07 second short of winning silver, and 0.92 second behind the champion. It was Kim's first race at his first Olympics. Kim recorded a time of 1:44.93 in the race at the Gangneung Oval, following the Netherlands' Kjeld Nuis and Patrick Roest. He is the first Asian skater to make a podium finish in the men's 1,500m distance in the Winter Olympics, since the inaugural Games in 1924.